Spice is co-owned with our friend and long-time Eromit Lab owner Katherine Rockwell from Prince George. 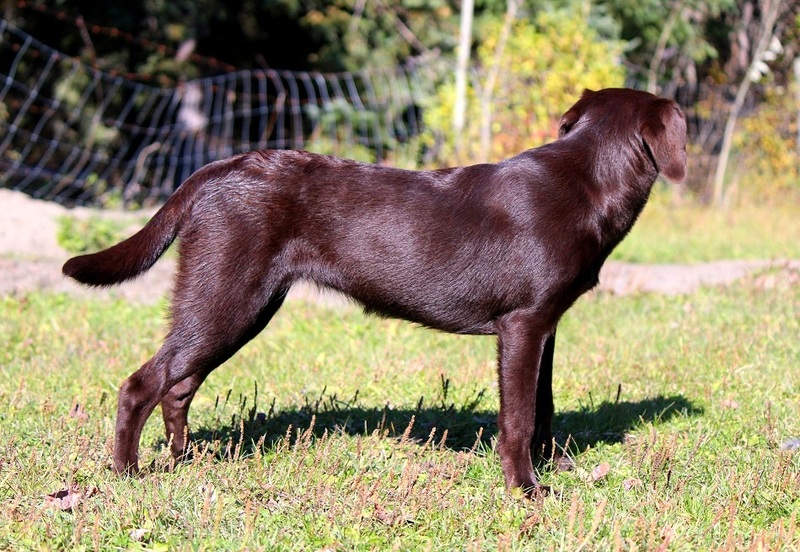 She is the only chocolate female from 10 puppies- Kimber’s last litter and Harvey’s first. Spice is a very bright, energetic, clownish dog with great speed and drive. She also has a lovely off-switch and a very easy -to-motivate, trainable nature. Spice is also the most glamorously dark rich shade of chocolate. Spice is a smaller sized girl that has matured at around 45 lbs. She is currently training for rally obedience, nosework dock diving and agility. Spice made her dock diving competition debut in 2017 and earned a 5th place in the semi-pro division at the Canadian Xtreme Air Championships as well as her first title! We are not at all surprised by her dock diving stardom as she is somewhat famous for the incredible kangaroo-style vertical bounce that she does when excited. She is extremely good at nosework too and earned her level 1 title with ease. Spice is very birdy and gets some practice retrieving birds during her visits at Eromit Acres. Spice has littermates that are wonderful pets and hunting dogs and one brother who competes in hunt tests and field trials. 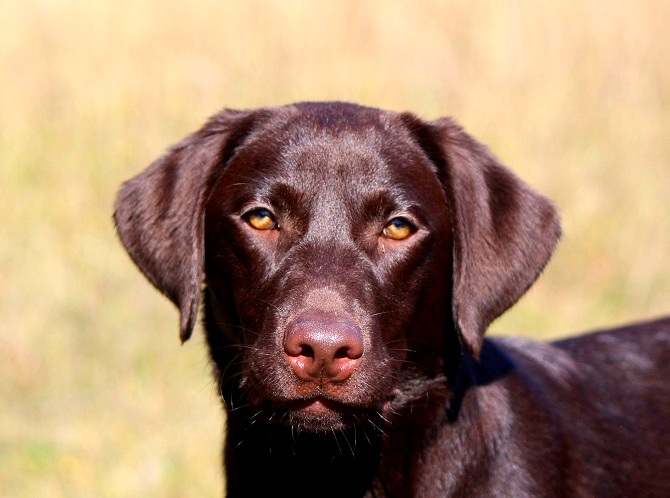 Her half siblings include dogs who have excelled in all levels of agility, obedience, hunt tests, dock diving, search and rescue and more- we expect that same level of versatility from Spice’s future offspring.